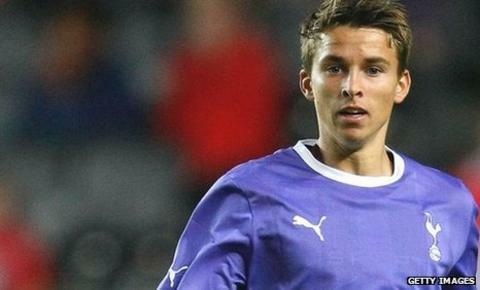 Derby County have signed Tottenham midfielder Tom Carroll on loan until the end of the season. The 19-year-old has not yet featured for Spurs in the Premier League but has played seven games in the Carling Cup, Europa League and FA Cup this term. He also made 14 appearances while on loan at Leyton Orient last season. Boss Nigel Clough told the club website: "He's a highly regarded young player and we've monitored his progress for a considerable amount of time."